"We all shine on." Help us "SHINE ON Jack" by "shining a light" on drunk/drugged driving this 4th of July. It's simple, easy, requires nothing but a light, flashlight, porch light, candle, even a firework (using safety of course!! )...and would mean so much to our family and "Team JP." On 4th of July at sunset whether you're hosting a cookout, going to one, watching fireworks... "SHINE ON Jack" by turning a light on for at least 16 minutes in memory and celebration of Jack Pearsall, eternally 16 years old, and all those who were taken too soon due to drunk/drugged drivers. Seeing that light, please use it to remember not to drive while under the influence and consider being part of the solution to end drunk driving and the 12,000+ deaths it causes year after year. Let's help them all SHINE ON and post your photos on the Facebook event by clicking here! July 4, 2017 marks the 6th anniversary of Jack Pearsall's death after he was struck by a hit-and-run drunk driver while walking with friends from a fireworks show in Mashpee, MA. Jack did not reach his 17th birthday the following month, August 19, with his twin brother. Jack did not reach many lifetime milestones and we miss him dearly and think of him daily. But one thing that helps us through is knowing that Jack does SHINE ON. 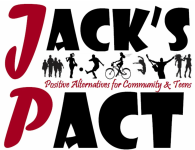 He touched many lives in his short 16 years and continues to with his legacy of "Team JP" -- Jack's PACT (Positive Alternatives for Community & Teens). We are raising awareness for drunk driving while promoting healthy, positive lifestyles. Join nearly 2,000 others and sign our "PACT" pledging not to drive while under the influence of drugs/alcohol and encourage others to do the same. Please also consider joining us on July 4th at 9 AM in Falmouth, MA for the ﻿6th Annual Run Jack Run Family Fun Run/Walk﻿ for Jack.